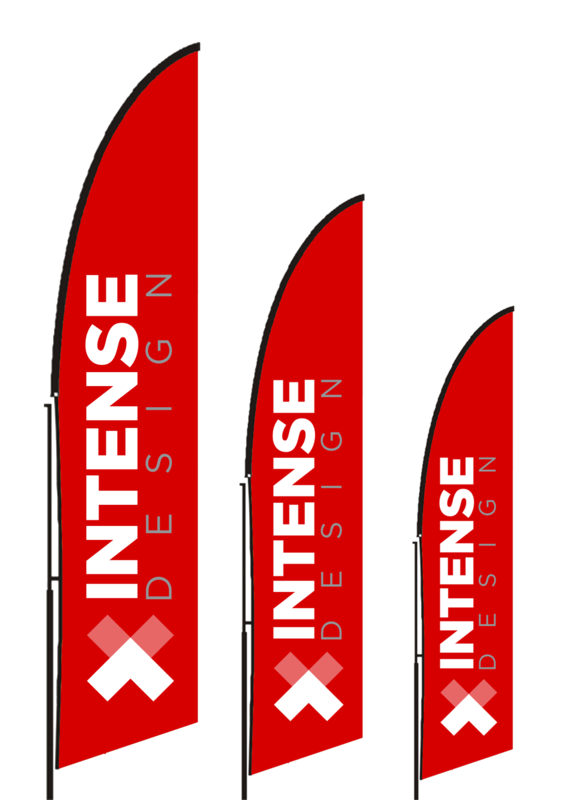 Here at Intense Design we manufacture Arc Flags in two different sizes, 2m and 3m high. Any bigger and we think they become less practical especially in strong wings. All our arc flags come with a double sided print, which means two separate prints stitched securely back to back, we do this because we believe it is important the flag can be read properly from both sides. The print can be easily folded when being stored and then slides easily over the compact pole when you need. The arc flag is easy to put up and take down. The full colour print and pole comes with a spike but where a spike cannot be used an extra cross base is required.